One part of being responsible to your family and friends is having the right legal documents in place to protect them if something happens to you. Most people procrastinate doing this because they think it’ll be expensive or time consuming–and, of course, preparing for tragedy isn’t cheery. Remember that even if you’re married, you still need emergency documents because you and your spouse could die at the same time. Or you could be in an accident together where one of you dies and the other is left incapacitated. A Will tells everyone how you want your assets distributed and explains your last wishes, like whether you want to be buried or cremated. There’s a common misconception that Wills are only for old, rich people. Almost half of Americans with children don’t have one. To keep the State out of your affairs. 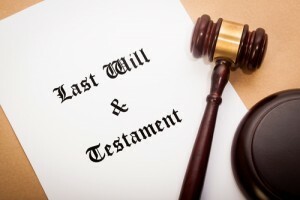 If you die without a Will, the government creates one for you and decides what happens (not your family)—according to generic laws of your state. To appoint a guardian for your children or pets. Dying without a Will is especially dangerous if you’re a parent because the government will decide who gets your children. Declaring a guardian in your Will ensures that someone you trust will care for them. To make life easier during a tough time. Your death will be an emotional burden for those you love and having a Will makes it easier on everyone. To keep peace in your family. Having a Will prevents those you love from having to deal with a lot of bureaucracy or potentially getting into disagreements. To state your last wishes. No matter if you’ve always wanted to give an antique chair to your cousin or to be buried in a certain place, if it’s not spelled out in your Will it probably won’t happen. To save your heirs money. A Will protects your family from unnecessary expenses and estate taxes, in addition to distributing your assets and declaring your last wishes. A Power of Attorney gives someone you trust, called an agent, the ability to make decisions and transactions for you while you’re alive, if you become incapacitated or are just unavailable. There are different kinds, but a Durable Power of Attorney is the most common type. It can be used if you’re not capable of making financial decisions or doing things like paying your bills, signing contracts, making insurance claims, and filing taxes. In general, married couples should give each other Durable Power of Attorney to avoid having financial restrictions during a crisis. A Living Will tells everyone what end-of-life care you want. It’s similar to a Health Care Power of Attorney (see below), but only applies when you’re facing death—so you need to have both. Or you can combine features of both in an Advance Directive document. For instance, if you were in a vegetative state or in the final stages of a terminal condition, a Living Will indicates whether you’d want to extend your life artificially by various means or to die naturally. A Health Care Power of Attorney allows you to designate someone to make medical decisions for you when you can’t. For instance, your designated agent could to admit you into a health care facility or apply for public benefits on your behalf. I recommend using LegalZoom because they offer all these documents as a discounted bundle. They take you through a series of questions to help you complete your documents, with help from customer support, if you need it. LegalZoom’s document assistants review your answers for consistency and completeness. They contact you if any clarification or additional information is required. Then they print your legal documents on archival quality, acid-free bond paper and deliver them to you. Here’s the best part: Completing your questionnaire is free. You can decide at the end whether or not to purchase your legal documents. If you’re ready to begin, click here to get started. So do yourself and your family a favor by getting all your emergency documents created as soon as possible. After a tragedy occurs it may be too late to make important decisions. Next Post How to Retire Early and in Style—Without a Fortune!